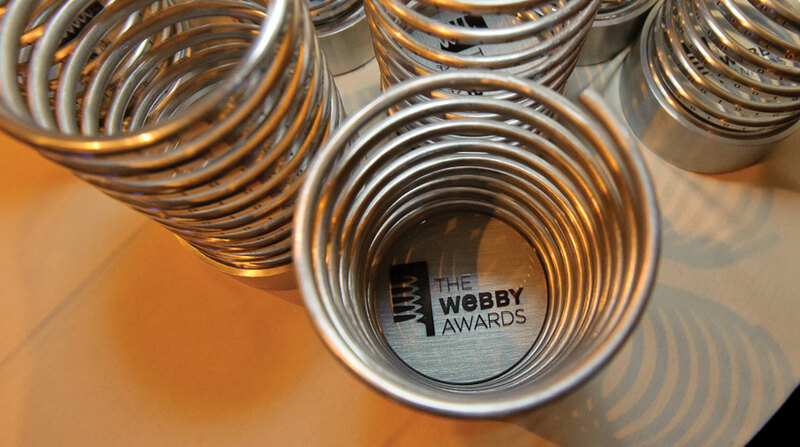 The Webby Awards, in partnership with GLAAD, WeWork, and Condé Nast’s them. explored how to combat anti-LGBTQ bias online and in tech. Who is responsible for protecting our most vulnerable communities online? Is it tech companies, elected officials, individuals…? Executive Director of The Webby Awards, David-Michel Davies, believes permanent solutions to this issue won’t surface until more of us start to ask this question. He and three speakers explored this and more on a panel called “Preserving the Digital Lifeline for LGBTQ People,” hosted by The Webbys in partnership with GLAAD, WeWork, and Conde Nast’s new publication them. For panelist Natalie Egan, CEO & Founder of Translator LLC, the Internet is like the Wild West: lacking rules or regulations to help vulnerable individuals—especially those who are transitioning—navigate otherwise ordinary tasks. Coordinating a change of her name on social media to reflect her newly transitioned identity, for example, was a milestone: “There’s no playbook for that,” said Egan. Panelist Natalie Egan, (Translator, LLC) speaking about her experiences online. According to panelist Jim Halloran, Chief Digital Officer at GLAAD, it’s become increasingly important to understand how discriminatory machine learning technologies are being used to determine credit scores, and even neighborhood policing. He and his team at GLAAD are countering an alt-right network’s exploitation of YouTube algorithms to remove pro-LGBTQ content. It all started with their video of actress Debra Messing’s speech being bombarded by hate speech, which we talk about with Halloran on the Webby Podcast. Jim Halloran joins us to discuss AI’s algorithmic bias towards LGBTQ people. The debate surrounding net neutrality is a battle over personal (often life-changing) freedom or repression. “Without net neutrality, it’s possible I may not be trans,” said panel moderator and Senior Editor at Condé Nast’s new LGBTQ publication them., Meredith Talusan. An open Internet, and access to community resources, can be a lifeline to those who are denied those same resources offline. We all talk about this problem as if it’s in the future, but this is here right now. It’s happening right now. Although there are many issues the Internet community faces, there’s still reason to remain positive about the future. From individuals sharing their inspirational stories, to video content showcasing resistance and love, more people are using platforms to share positive content, said Davies. Prime examples are Webby-winning campaigns “Love Has No Labels” and “It Gets Better”. The Webbys’ David-Michel Davies says more of us need to begin asking the question, “who is responsible” for ensuring online platforms are safe for all people, and that tech companies are including diverse voices. Looking for a first step? Learn about GLAAD’s new digital task force of advocacy groups, tech companies, and community leaders working to combat online anti-LGBTQ bias.